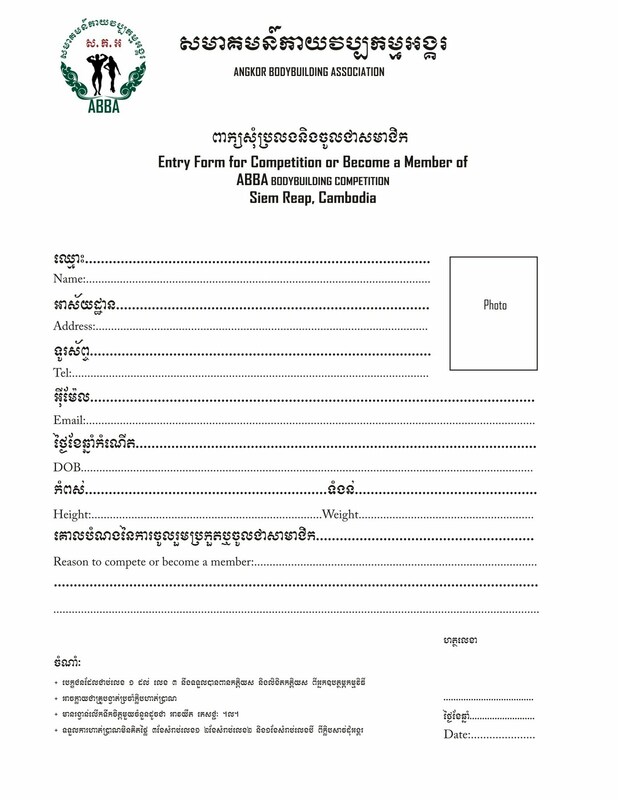 The competitors who are not staying in Siem Reap will have their own Coach and preparation for the competition! We will notify or call you to join when the date of prejudgment is set! 1. The criteria used to judge a physique is based upon three equal aspects: Symmetry, Muscularity, and Presentation. 2. The judging will be conducted in three rounds. Each competitor in the class will be given a single placement based on total performance in each round with an overall tabulation of placings between all divisions. All rounds are qorth equal value. 3. 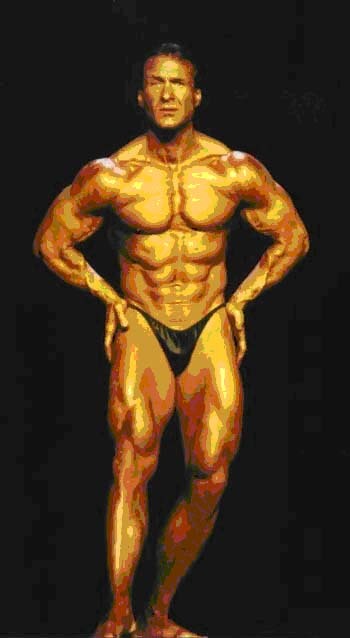 Male competitors must wear solid colored posing suits. Female competitors must wear solid colored two piece swimsuits free of any jewels; bikini, thongs or G-String are not permitted except for International events. Jewelry is not permitted except for rings. 4. Symmetry Round: Competitors will present themselves on stage in serial order in a straight line or curve facing the judges, assuming a semi-relaxed stance with ankles touching. The head judge will instruct the group to execute a series of quarter turns to the right allowing the judges to view them from the front, left side, back and right side before returning to the front position. Symmetry refers to the structural harmony of the physique relative to the size of various body parts. It can be defined as the proportional balance of opposite body parts. Symmetry does not refer to muscular mass but rather to a harmonious blend of all body parts to present a toal aesthetically proportional developed physique. The judges do not grant points based on potential. 5. Muscularity Round: Competitors will present themselves on stage in serial order in a straight line or curve facing the judges, assuming a semi-relaxed stance with ankles touching. The head judge will instruct the group to execute a series of ten (10) mandatory displays giving the competitors a sufficient amount of time to hold the poses for the judges and to rest between each pose. This round must be performed barefooted. No jewelry, gloves, hats, etc. are permitted. After the initial comparisons are complete the head judge may shift the position of the competitors to conduct additional comparisons. In this round the judges are looking at the size of the muscle in relation to skeletal structure, shape, hardness and definition. This includes the separation between individual muscles and muscle groups and striations within a muscle or muscle group. Muscle shape should be aesthetically pleasing and should demonstrate development from the belly out to the extremities. The poses are: A) Front Double Biceps; B) Front Lat Spread; C) Abdominal Pose; D) Side Chest; E) Side Triceps; F) Rear Double Biceps; G) Rear Lat Spread; H) Quadriceps; I) Hand-on Hips Most Muscular; J) Most Muscular - Crab Shot (men only); K) Most Symmetrical (women). C) Abdominal Pose- Flex either quad. H) Quadriceps- Hands on Hips, flex one quad at a time. 6. Routine Round: Free posing round. Each competitor will be allowed a maximum of 90 seconds with music to display their physique, physical conditioning, personality, and overall presentation through a free posing routine. The routine must be of artistic origin, athletic and demonstrate a degree of endurance, and may contain some of the mandatory poses. The routines are meant to give the judges some idea of the competitor's physical condition and abilities. It also gives the competitor the opportunity to express their creativity, personality and interests. Competitors are encouraged to include any talent or interest they may have such as dance, martial arts, jumping rope, baton, gymnastics, mine, aerobics, etc. Props may be used and are encouraged. Only the top five (5) in each division will perform the Routione Round in the Evening Show. All judging is already completed at this point, however Best Routine and Overall Titles are still awarded based on the evening performances. 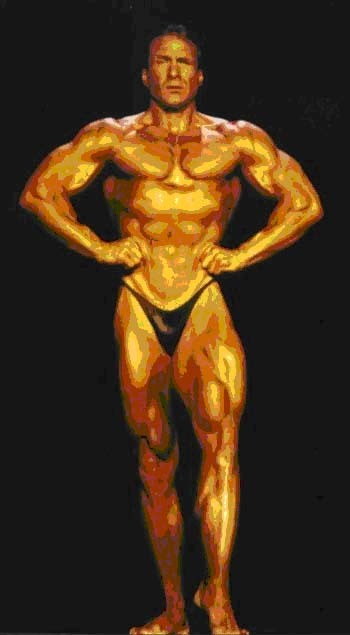 Men’s Classic Bodybuilding was officially recognized as a new sport discipline by the IFBB Executive Council and IFBB Congress on November 27, 2005 (Shanghai, China). 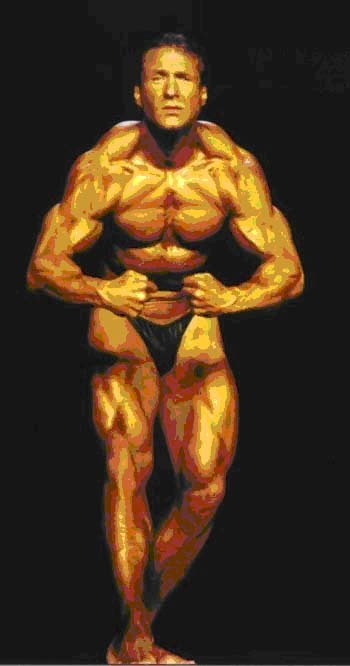 Classic Bodybuilding responds to the increasing worldwide demand for competitions for men who prefer, unlike today’s current bodybuilders, to develop a less muscular, yet athletic and aesthetically pleasing physique. Prejudging: Round 1 - Quarter Turns and Mandatory Poses. 172(cm) – 100cm + 4kg = 76 kg (167lb) Max you can weigh for class. All competitors over 180 cm, (1, 2 & 3) shall compete in the Over 180 cm category. Do I qualify as a Junior Competitor? "A Junior Competitor is a person who is 21 years of age or under in the year when he/she wants to compete at either a Provincial or National Championship. If the competitor turns 22 years of age prior to either a Provincial or National Championship he/she must compete as a Senior competitor"
Example: Competitor competes at the Novice in March as a Junior (21years), his/her birthday is in April (22 years), one month before the Provincials, he/she can't compete at the Provincials as a Junior but must now compete in an open class. 1. "I don't want to get too muscular"
It takes a lot of dedication and commitment and time to attain the physique that is necessary to do well at the National level. Muscles do not appear overnight, and it is very easy to tone down a muscled bodied. We often think that we are "too muscular" when we see ourselves in the mirror 4 months before a show. This is not usually the case after 3-4 months of dieting! All of a sudden you are backstage, surrounded by buffed bodies, wondering where all of your muscle went! In other words, train intensely with heavy weights 3-4 times per week! 2. "Stop weight training two or three weeks before the show and focus on your routine"
This is one of the biggest mistakes that I have made as a fitness competitor. You work so hard to build up your muscles, then you think that you are doing your body a favor by giving up on the weight training for the last week or two before the show. Instead you are losing precious muscle as well as that well-defined, full muscle belly look that will score well in the physique round. Weight training is what got you those muscles, so do not stop! I usually train hard with weights (heavy) until the last two weeks. Then I decrease my weight slightly to avoid sore muscles and injury. I usually go down about 5 - 10 pounds for all of my exercises. This maintains the muscle and gives it a good pump. About three or four days before the show I weight train with high reps and light weight - simulating the pump-up that I will do backstage. The day before the show I do light cardio, flexibility, visualization of my routine and a very light full body pump up followed by quarter turns. 3. "You must cut out water for a few days to get as lean as possible and to avoid water retention"
NO! NO! Fitness is different from bodybuilding - we do not need to be striated and we definitely need water to perform our routines. I drink tons of water (3-4 litres per day) during my 12-week contest diet. This helps with my fat burning, flushing out the by-products of intense training and dieting. About three days before the show I decrease to two litres. Two days before the show I decrease to one and ½ litres. The day before the show I have one litre and I sip water as needed the day of the show. 4. "You can throw together a great fitness routine in one month"
Maybe if you are a gymnast or a dancer who has competed for years! You should begin thinking about music 4 -5 months before the show. The music should be cut and ready at least 4 months before. Choreography should be mostly completed 2 - 3 months before the show so that you give yourself 6 - 8 weeks to perfect the routine! The highly anaerobic nature of a fitness routine means that your body will need time to adjust to this kind of work. I start doing track and bike sprints about 5 - 6 months before a show to get my anaerobic system ready. It is very important that you perform your routine in front of people before you compete. This will help keep your nerves in cheque and make you appear more comfortable on stage. Try to practice within a boundary that is similar to stage dimensions so that you will know exactly how much room you will need to mark out on the stage when you get to the competition. I always count ten steps back and about fifteen steps across. This ensures that I will always have enough room, even if the stage is small. 5. "You need breast implants and long hair to succeed in fitness"
I think that I am a living example of the stupidity of this statement! What you do need is excellent self-confidence and an open mind. I am always thinking of ways that I can improve my physique or my look. I never say "what more can I do?" - there is always something you can improve on. If breast implants give you that confidence, then by all means - get them! Just make sure that it is your decision and that you are not pressured into them by what others think. There is a need for role models of all shapes and sizes! You must present yourself in the best possible way for you - not based on how other girls look! You want to stand out in the crowd, not blend in! 6. "You need to win contests and be well-known to get sponsorship"
This is definitely not the case. The best time to start looking for sponsors is when you are starting. Sponsors love to grow with their athlete! If you show awesome energy and a willingness to help out a company they will probably love to help you out too. If you get a few "NO's", then keep on looking - there are so many people out there who will help you with your dream if you are passionate about it! Make sure you have a resume and goals typed out for potential sponsors. Have info for them about contests and if possible, have pictures of yourself. Tell the sponsors how you can help them promote their product and mention the growing popularity and magazine and TV exposure that Fitness has. Finally, give them a list of costs that you will incur as you prepare: bikini, routine outfit, choreographer, shoes, heels, body dye, trainer, dietician, travel, entry fees, hotel, supplements, etc. 7. "When I compete all the media will come running to interview me and I will be famous!" Ha…ha…Ha…! Yes, sometimes you will be approached for pictures or an interview - but, the media in general does not follow the athletes. That is why there are agents! Be your own agent and send a write up and pictures to your local newspapers and TV stations after your contest or as you prepare for it. Send in pictures and your bio to Oxygen and Musclemag and Hers. Most of the publicity that I have received is because I have sent it in! 8. "You have to be a dancer, aerobic instructor, or gymnast to do well in fitness"
This is another area in which I will use myself as an example. I went in my first competition when I was 30 and had to relearn everything that I did as a child in gymnastics at age 13. I relearned back flips, front flips, areol cartweels, holds and splits, which I never lost as an adult. I believe that my routines were very well-balanced because I include a little bit of everything in it. I would recommend jazz, hip hop dance, sport aerobics, and adult gymnastics with Carrie Carriere as it compliments to your weight training programs. A great choreographer is a must if you have no prior training in dance or gymnastics. If you were never a dancer, aerobic instructor or even a gymnast, you might suprise yourself what you can do as an adult, so my answer to everyone is no, you do not have to have these elements in your childhood background to compete in fitness. 9. "My only goal is to have fun"
This sounds nice, if your idea of fun is sore muscles, hard work, early nights, early mornings, and strict dieting for 3- 4 months! It is a good idea if you can find reasons for competing that go beyond having fun. This will avoid disappointment and lack of motivation when the going gets tough - and believe me, it will! On the other hand - there is nothing like the thrill of accomplishing your goal and competing for the first time! Some great reasons might be: personal challenge, finishing something, learning experience that will lead to future success, practice in will power, meet new people, be a role model, etc. 10. "Are the other girls backstage really catty and self-absorbed?" I have met many competitors in my lifetime, from all over the world and my experience has been wonderful. I have friends in many countries because of fitness and I know that we share something in common - the love of personal challenge and the perseverance to make it happen. Fitness competitors are special people - they are hard working, intelligent and fun! You determine your own destiny and will attract people by the energy that you send out. If you are personable, friendly, and enthusiastic, chances are that you will meet the other competitors who carry those same traits!